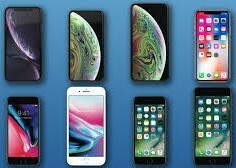 Apple retained a majority in the premium smartphone market in the third quarter of 2018, as iPhones made up 47% of all phones sold in it. Samsung achieved second place in this arena, with 22% of the market share. On the other hand, the growth of this market was driven by increased brand diversity; for example, Huawei captured a share of over 10% for the first time this year. On the face of it, Apple's smartphone business is in at least slight decline. Recently, Citigroup cut its estimates for the production of the company's flagship iPhones. In addition, other analysts, Ming-Chi Kuo included, now believe that future iPhone revenues and sales may fall compared to former years. Nevertheless, it appears that the Cupertino giant remains a leader in the premium smartphone market. According to a new report based on data from the third quarter of 2018 (3Q2018), it cornered 47% of this space. This report, compiled by Counterpoint Research, indicates that Apple is still the biggest brand in the premium segment of the smartphone market (defined as phones costing US$400 or more). Samsung is the second biggest brand, with a total share of 22%. On the other hand, this company is also the leader in the $400-600 sub-segment; it sold 25% of those phones, whereas Apple, Huawei, Vivo and OPPO sold 21%, 17%, 10% and 7% of these units respectively. Apple was also found to lead the $600-800 sub-segment (with a 61% share), as well as that for $800+ devices (79%). OnePlus was found to be the fastest-growing brand in the market as a whole, however, and remains the market leader in India. It was also among the top 5 premium phone-makers in Europe for this quarter. The Counterpoint report also indicated that the premium segment benefited from increased competition from a greater number of brands in 3Q2018. This enabled it to grow by 19%, whereas the overall market fell by 5%. In addition, Huawei achieved a total premium smartphone market share of 12% in the quarter, making it the first time this company had done better than 9% in this category. On the other hand, this picture may change with data from 4Q2018. However, Counterpoint expects this market to continue to grow in this quarter, as it will be driven by holiday sales of devices such as iPhones.